Ott HVAC is proud to offer quality and reliable air conditioning products. It’s important to live in a home climate that makes you happy. Enjoy the outdoors with peace of mind that you’ll have a cool and comfortable indoor environment to return to whenever you please. A good air conditioner offers control over temperature, humidity, air filtration and movement of your indoor space. This can be accomplished through a centralized or individualized system. 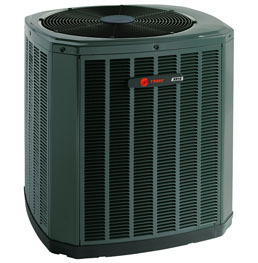 Parts of the system include the compressor, refrigerant, fan, condenser and evaporator coil. It works by removing warm air from the home while cycling in cooler air until the desired temperature is reached. If you are in need of a top notch air conditioning system in the Berks County area, please contact B&L Ott with any questions or to request service. Our skilled technicians will be happy to speak with you to learn your air conditioning preferences and evaluate your home in order to make knowledgeable recommendations of the best products for you.